Feeding toddlers small portions of real foods is important. It not only develops a wide range of "what food tastes like" or palate, but it is the start of lifelong healthy eating habits. Like I've said before (No. 3. ), a variety of healthy options guarantees that no matter what they choose they will feed themselves well. As a species, we are wired to appreciate beauty. I've long believed that food tastes better when it's pretty. 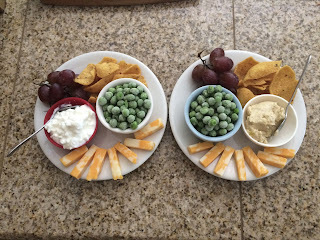 My girls eat more when their food is well presented, prepared with care, and in portions they might actually be able to finish. Here are some of the girls' meals over the past few months. 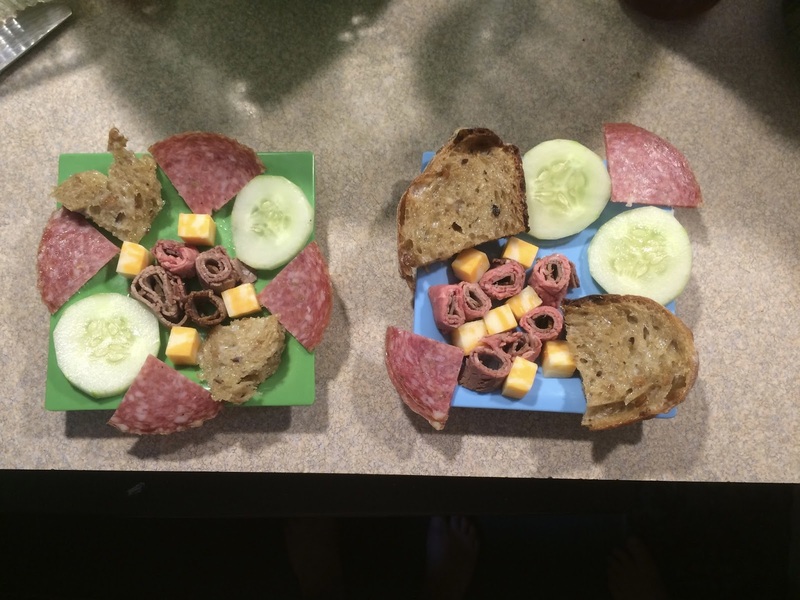 Salami, cheese, purple carrot slices, and small portions of hummus. Peanut butter banana bites with honey. Ham, cheese, salami, cucumbers, and bread. 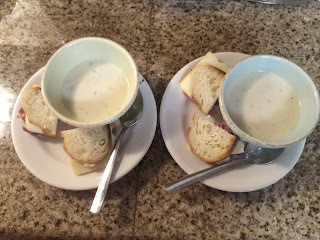 Clam chowder with cheese sandwiches. 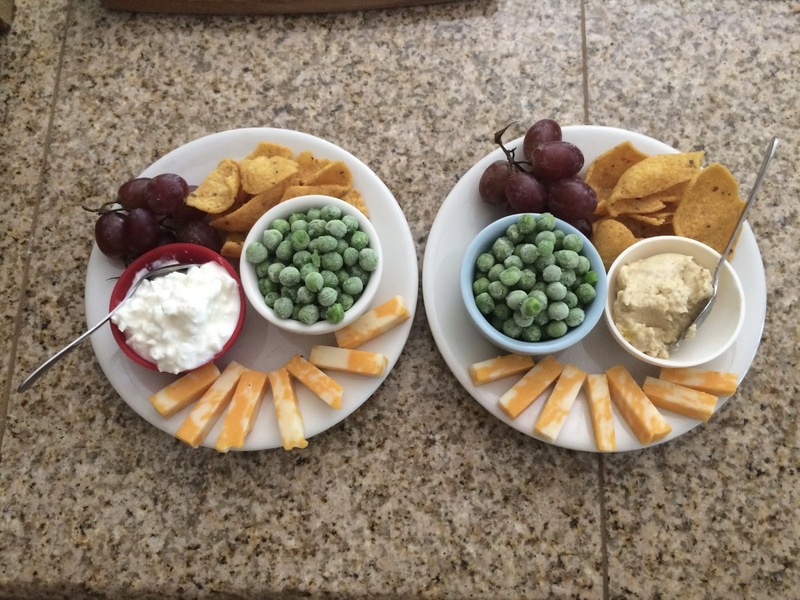 Grapes, corn chips, cottage cheese/hummus, frozen peas (yes, still frozen), and cheese. And finally a little tea party. Chamomile tea (with a little honey), maple yogurt, and digestive biscuits. Here's to the lovely, the thoughtful, and the delicious! Mmmmmm! Frozen peas! One of my childhood favorites. Vivid memories of hovering around the kitchen every time I heard in advance there'd be peas for supper, hoping to get a handful while they were still frozen. Mom (Grandma) caught on quickly and usually saved out a few for me when I wasn't there in time. Glad you're passing on an MmmmmMmmmmMmmm family tradition. August Break - See you in September!